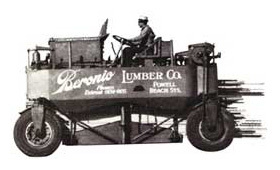 Founded in 1911 by Antone V. Beronio, Beronio Lumber has supplied fine wood products to builders for 100 years. 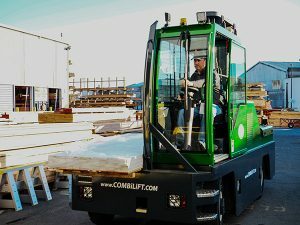 From its original yard on San Francisco’s bustling waterfront, Beronio sold lumber, millwork and mouldings to the contractors who were busy rebuilding the city after the 1906 earthquake. Today, Beronio Lumber continues the tradition of supplying high quality fine wood products, serving San Francisco, the Peninsula and Marin. A vast product selection includes framing lumber, engineered wood, decking, wainscoting, specialty mouldings as well as a full line of builder’s hardware, hardwood flooring, windows and doors. It is with great pleasure that we reflect on our last 100 years of business. With the support of all our loyal customers, we have been allowed to continue to provide quality materials and service across the Bay Area, a community we are happy to call home. We look forward to the years ahead, developing our products to suit our customers’ evolving needs, while maintaining the traditional spirit of Beronio Lumber that has enabled us to serve you and your families over the years. If you can’t find something on the website that meets your needs, please come into one of our showrooms. Our experts will happily work with you on a customized product to meet your specifications.